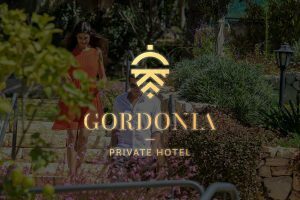 The Gordonia Hotel at Ma’ale Hahamisha stands at the center of the Jerusalem Hills. The verdant landscape, clear air, pine trees and long rows of grape vines are your invitation to get out in nature, and hike. history, an unsung architectural gem and our deep roots in Israel come into plain view. hotel from this point, or continue onto the second route – within Kibbutz Ma’ale Hahamisha. Duration: About half an hour. Degree of Difficulty: Very easy. There are not many places that echo the story of Israel in a clear, distinct voice; there are only a few where the visitor can tune into the past while totally enjoying the present. The new Gordonia Hotel at Kibbutz Ma’ale Hahamisha is one of these rare places. Acquaint yourself with the green, tranquil setting – the enchantment and tremendous pull of the landscape of the Jerusalem Hills, along with the roots, struggles, the desire for a tranquil life, the bond with the land, the vineyards, forests and hills – and you will understand the story of Israel.